At SGS Engineering, we have a wide range of quality diesel generators for sale from industry-leading brands including Hyundai and Stephill that feature expertly-designed engines from Lombardini, Yanmar, Kubota and Perkins. In addition to our variety of quality manufacturers, our range of diesel generators also includes convenient portable options that are an ideal choice for everything from domestic back up power sources to use on busy workshops and building sites. Diesel generators are more economical and efficient than other petrol options and ultimately can be cheaper to run. They are often also more hardwearing and require less maintenance, and such aspects make them a better option for business and trade users who intend to run them for extended periods. 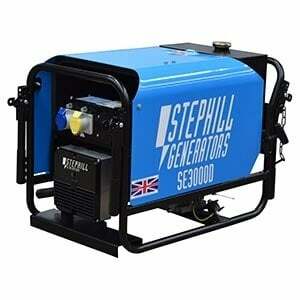 As well as our selection of brands, we also have different capacities and specifications on our diesel generators. This even covers the silent diesel generators for sale in our collection which can provide top performance with minimal sound. If you aren’t sure which model would be right for you, you can read our ‘Generator Selection Guide’ that can point you in the right direction. 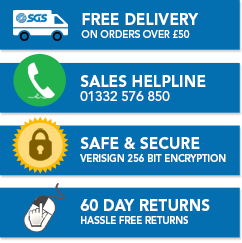 If you need any assistance with your purchases from our diesel generator range, you can also contact our sales team on sales@sgs-engineering.com or via phone on 01332 576 850. Alternatively, you can look through our listings and buy the model you want online. All our diesel generators come with a 60 day returns policy and if you order before 4 PM there’s UK next working day delivery. Our diesel generators also come with different warranty options that are detailed on each product page. You can see our full warranty information here. We've created a Generator Help section on our site which features a number of useful guides to help you with everything from finding the right diesel generator to how to use them and maintain them. - Find out how to use your generator safely whether at home or at work. What can I Power with my Generator? - This guide will explain the power ratings of common electrical equipment.